ssentialPIM Pro is a personal information manager that makes it easy to control your appointments, to-do lists, notes, password entries and contacts. 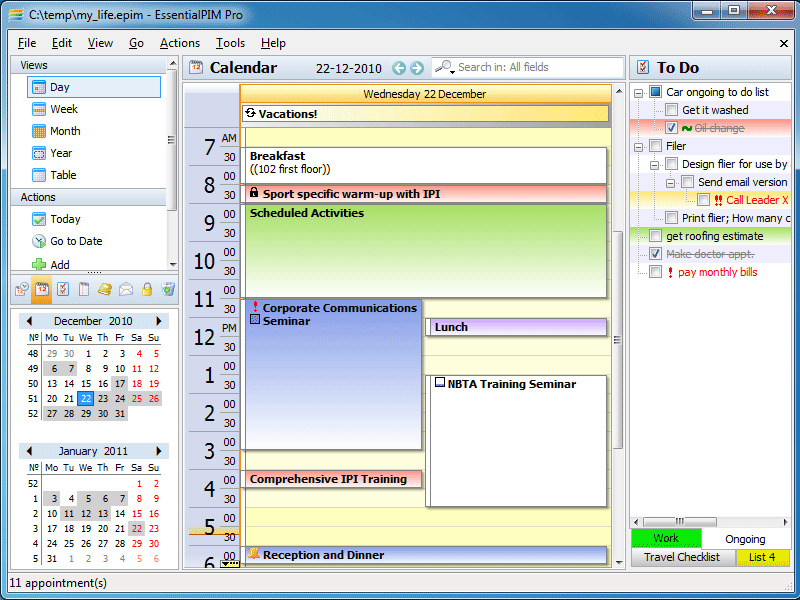 With built-in email support, EssentialPIM Pro is an affordable replacement for Outlook. In addition, EssentialPIM Pro offers portability, speed, intuitive interface, and the ability to synchronize all your information with Outlook and practically any online service available (Google, Yahoo, etc. ).